The biggest challenge I had with this post was figuring out if it should go under technology or social media. I placed it here because content is so tied to social media that I think it belongs here…even with the topic of marketing technology being discussed so heavily. 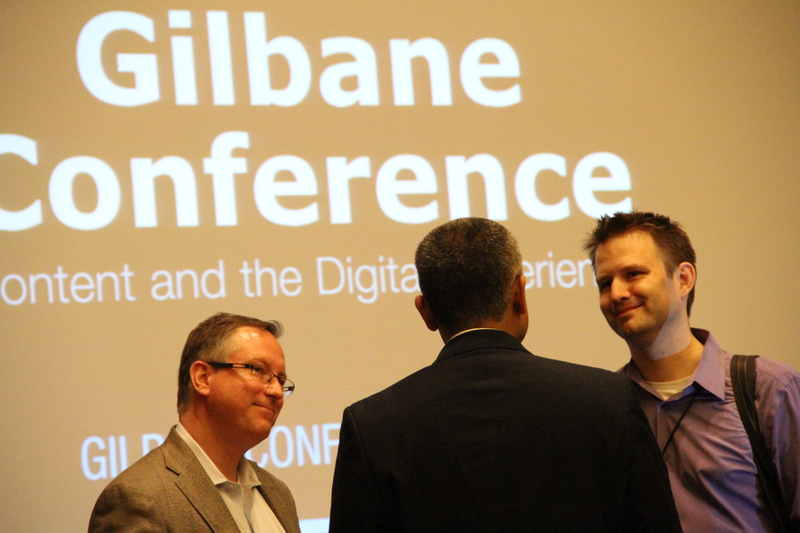 Without further ado, here’s one of the sessions I sat in on at the 2013 Gilbane Conferencethat took place at the Westin Boston Waterfront Hotel from Dec. 3 through 5, 2013. 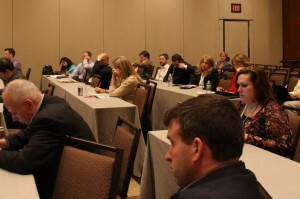 The session was titled Q&A with Real Live Marketing Professionals – Content Marketing and Customer Experience Track. My interpretation is that this Q&A session was created to address the topics of incorporating technology expertise in an organization. Further, to explore a new reality that marketing practitioners are having a great impact on how IT spending in the enterprise. 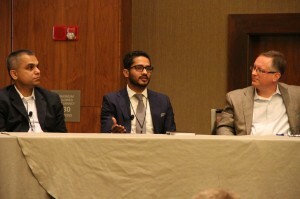 On the panel were Sheldon Monteiro, the CTO of SapientNitro; Mayur Gupta, Global Head of Marketing and Technology for Kimberly Clark. Moderator was Scott Brinker, Founder and CTO of Ion Interactive, and author of Chief Marketing Technologist Blog. Jumping right in, the group agreed that technologists and marketers need to collaborate, but they do so in many ways. Monteiro said these relationships work best if you’re already structured toward performance in your business. Breaking down silos is the practice companies are using to best reach customers. But you’re likely to be a lot more successful if your corporate culture supports this, and many firms have not thought far enough ahead to build a corporate community that thinks this way yet. Monteiro advised that success could be created by working on pilot programs with clients helps the people on the inside understand how real collaboration can result in success. Gupta jumped in and said the tide is shifting. Companies are starting to think beyond existing and past organizational models…and they need to because even creating a team isn’t going to change the bottom line. The key is to bring a mindset shift where all departments are focused on the customer experience. “We are living in an era of convergence,” said Gupta. “It’s not just marketing and technology…you can no longer ignore finance” and other departments. Part of the process is focusing on working together and “collaborating at the most extreme level,” said Gupta. Unfortunately, corporate culture doesn’t always shift in the direction you want it to. Gupta said change will depend on the organization and the legacy thought process that’s in place. To effect change, he said there is a proven strategy. Gupta added that you should try to do it one brand at a time and demonstrate the notion of marketing technology. Demonstrate the role of a marketing technologist and actually demonstrate how you will use data and look at data on a regular basis. “Unless you demonstrate ROI, all you speak and write about is all theory,” said Gupta. 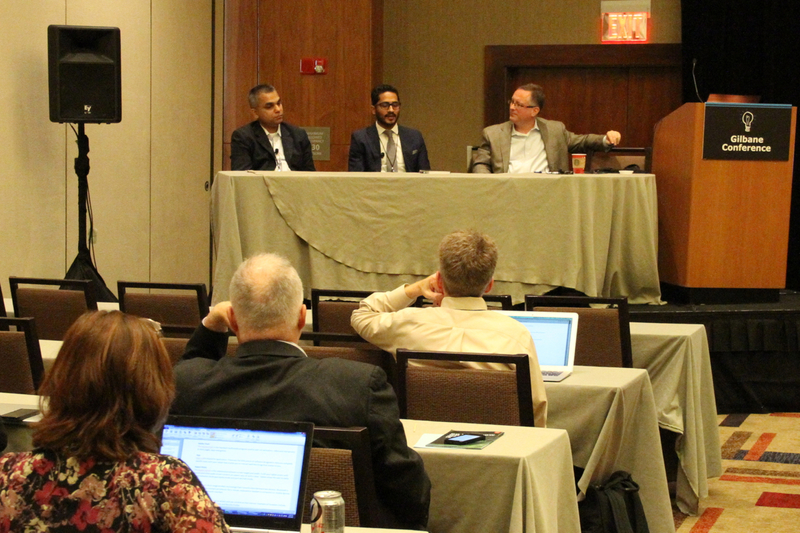 The session focused on some real-world case studies and methodologies that companies can implement to ensure that teams and individuals understand the worth of marketing technology in the enterprise. While this concept still confuses people, the panelists and moderator strongly feel that the benefits of having IT and marketing work together makes a company more prepared for success. Some of the steps include engaging with the consumer on the channels where the consumer is operating; Looking at consumer behavior on a more regular basis so you can act. Ultimately, there has to be a holistic change for companies to succeed in implementing an agile mindset and reaching consumers. The bigger challenge is not in adopting these things, it’s in coordinating them, he said. Gupta added that he sees the marketing technologist as the orchestra leader. First you go about setting up your team, then you identify roles and responsibilities. Then you create a communication matrix. “You’ve got to look at technology as a strategic tool,” said Gupta. Where do these methods and solutions come from? Opinions were pretty similar across the board…you use methods that have worked in the past. Monteiro had a unique perspective. “We steal stuff that has been done before…to drive value for your organization,” said Monteiro. Though theft is seldom free. Even in implementation of solutions, he said you need to be prudent about how you manage your assets and costs. Some of the additional topics included where money came from to help with this integration. Gupta said that in his company, marketing and IT are service agencies within the big brand. They each have to make the case and the justification for the company to invest in the solutions they propose. Every single dollar spent goes through this process of recommendations. Then, it comes down to demonstrating success. Each dollar has to lead to more than a dollar return. The main takeaway from the session was that the future is going to bring more collaboration between marketing and IT. The way companies are going to succeed and thrive in this environment is to find a way for these divisions to work together. Only in that way will organizations thrive and not be left behind.